Golden Retrievers are known as the human’s dog. They are god’s social network as their DNA is made to socialize with humans. This also means they love to be among humans and get depressed when alone for long periods of time. They are packed with immense power and as that much enthusiasm. Hence, they should be taken in only if your family is at home and are able to give them adequate exercise as well. Nevertheless, here are some tips that can give you a hand up in welcoming your new member into your family. Many believe neutering is best for their dog, especially for Goldens. What most don’t know is that neutering not only has double but triple chances of making your dog suffer from joint disorders and even worse- cancer, according to a recent study. The Researchers of the University of California Davis did a study on 759 Golden Retrievers that were brought in by their respective owners at the Veterinary Medical Teaching Hospital for their neutering procedure. As per the results, the dogs that were neutered at an early age were at a risk of developing lymphatic cancer compared to non-neutered dogs. In females that were neutered, it was found that they became vulnerable to hemangiosarcoma or cancer of blood vessels walls. They were also found to have the inability to protect themselves from prostate cancer, which is quite contrary to what most want to believe. Golden Retrievers are ‘Velcro Dogs’. In simple English, they are highly faithful. You never have to look where they are as they are always on your feet. They follow you everywhere you go. If you are out cleaning your car, they’ll stay with you. And they follow suit even when you walk within your home for one room to another. They need to be around humans or other dogs at all times. Ensure that you always have a member of your family at home to be around in visible space, even if not tending to them. For Golden Retrievers, it’s vital to stay near humans. Plan on getting a Golden Retriever home only if you can be available for them, pat anytime they need, take them for walks, and give them the time they need. If you are planning on making a grace training period, take the thought out of your mind. The moment your puppy enters your life, it’s training time. The breed is hand-in- hand with intelligence, making them quick learners. Though you can train them home as they are as equal obedient, but if it’s possible to take them to training classes, is not bad either. You might think it’s a piece of cake picking a golden retriever, but more than anything to consider while buying your puppy is the background you are picking from. Make sure your dog does not have any emotional damage background like being neglected or badly treated or any physical disability. In either case, be ready to take care accordingly. 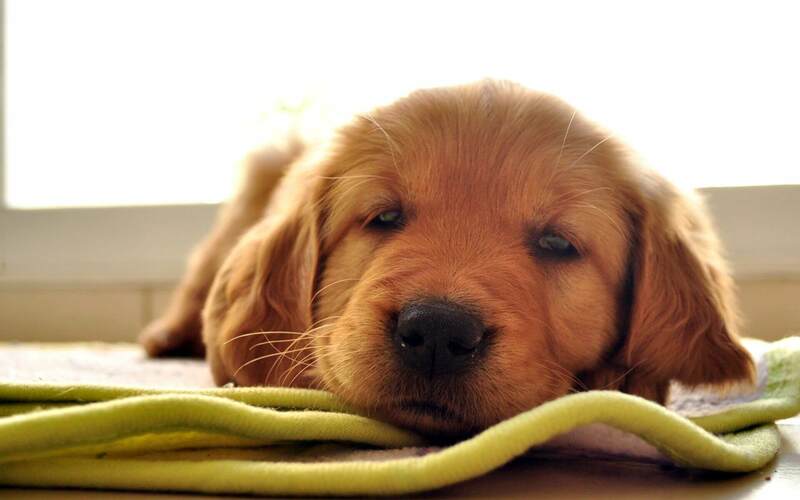 Golden Retrievers are family dogs and are very energetic. They are beautiful and win hearts as they stride by. If you have brought home a Golden Retriever, then you must know they need a lot of exercise and more than them it’s your physical fitness that should be of concern. It’s you who must take them out for exercise and daily walks hence, your fitness is as important. You and your Golden retriever are not just companions, but guardians of each other. As much as you rely on them, they rely on you for everything: right from food, grooming, and affection. If you want your Golden to live a long life full of health and happiness then you must educate yourself on what, how, what and when for your Golden. The biggest lesson to learn is to be able to learn their language. Yes, your dog cannot speak so it’s up to you to understand their gestures and behaviors as to what they wish for and what they want.